THolytown Parish Church was built between 1836 and 1837: architect Robert Turner. 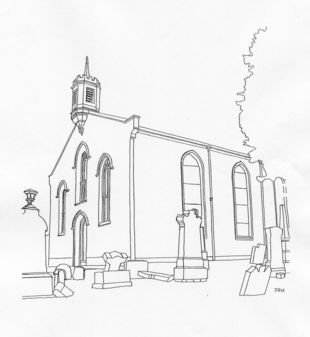 First service was in October 1837. Church was built to serve the eastern half of Bothwell Parish. In 1862 it became a quoad sacra church. Between 1912 and 1914 a chancel was added. In 1950 a pipe organ, previously in Auchingramont North Church, was installed and dedicated. Memorial stained glass windows, designed by G Maille & Son Ltd, London and an oak panel with the words “nec tamen consumebatur” were installed in 1953.